SIGH! 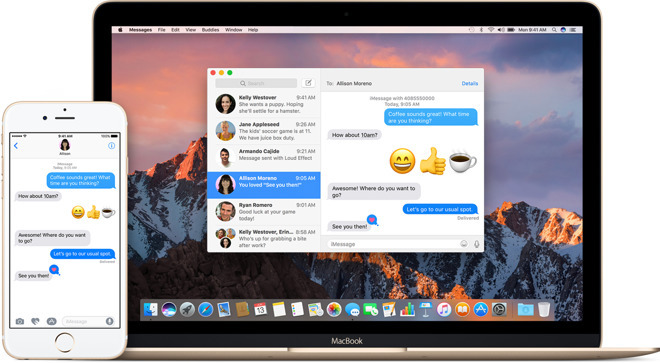 yet another malicious “text bomb” has reared its ugly head, in the form of a website link that can cause system crashes and hangups if received through the Messages app on iOS and macOS devices. The website seems to exploit a bug or a non-optimized rendering process for OpenGraph page titles by creating an excessively long tag. When Messages attempts to render a preview of the link, the app then crashes or hangs – and occasionally takes the operating system with it. Users have little choice but to delete the conversation in which they received the link and start over. While the malicious link affects Messages, AppleInsider reports it can also affect Safari and Chrome on macOS. The link goes to a Github page and breaks the Messages app and causes issues with both iOS devices and Macs. It appears that the only solution to the issue is to quit the Messages app and then delete the affected conversation to restore functionality. The exploit relies on the automatic link preview function in Messages, so the usual advice of “don’t click on links in messages,” doesn’t really apply here. Apple is likely working on a fix, but until it’s released, let’s hope your friends aren’t the type of jerk that would send it to you as a lark. Luckily, there might be less of that type of prank than usual, as MacRumors reports the link can also cause the sending device to freeze up and crash. So there’s that. Blocking the domain using Parental Restrictions may prevent the link from affecting your iOS devices. You can turn on Restrictions on iPhone or iPad by going to Settings –> General –> Restrictions –> Websites –> Limit Adult Content and adding “GitHub.io” to the “Never Allow” list.